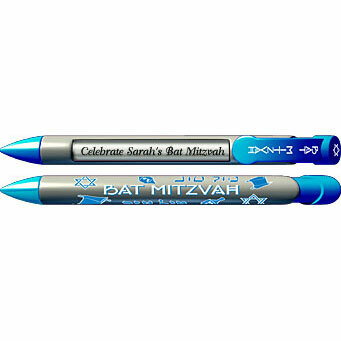 Personalized Judaica pens are a unique give-away favor and perfect keepsake for Bar/Bat Mitzvahs. It's a practical way to remember your special time or use as an announcement, or a 'Save the Date' invitation. Create your own personalized 4 lines as the message. Pink barrel background, Lime top, bottom and clip. 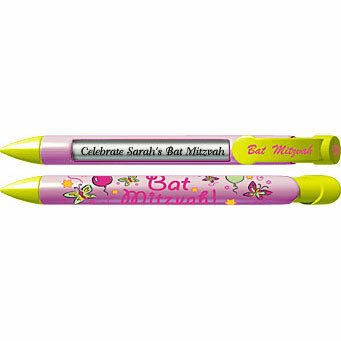 Clip says Bat Mitzvah and top shows a Star of David. Barrel features 'Bat Mitzvah' surrounded by balloons, butterflies & stars. Maximum of 40 characters per line. - Many other designs available. Blue or Silver barrel background. White or blue top, clip & bottom. 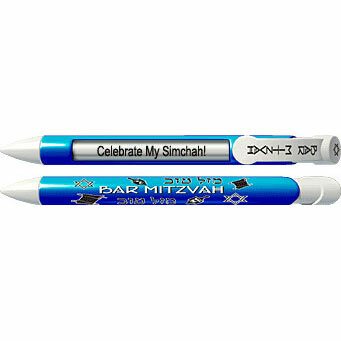 Clip says Bar Mitzvah. Top shows a Star of David. Barrel features 'Bar Mitzvah' surrounded by Stars of David, Scrolls, Dreidels & 'Mazel Tov' written in Hebrew. Maximum of 40 characters per line. - Many other designs available. 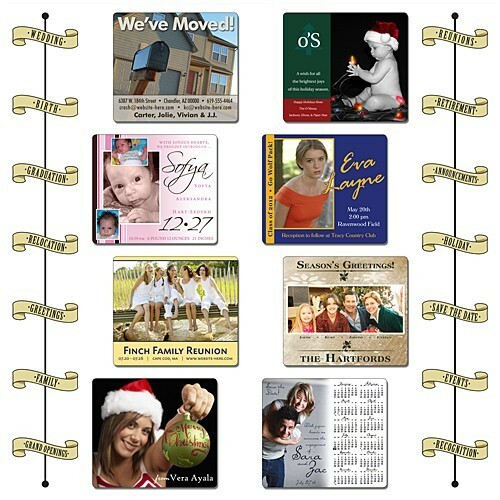 Full color custom magnet, you decide exactly what you want or we will be happy to come up with a design for you. No extra charge for photos.